So because the wind decided to alter our plans yesterday, we were forced to move our dolphin watching and snorkeling adventure to today. Meghan and I were up at our usual 5:45 alarm to work out, this time separately, before the day began. While she hit the streets for a tempo run, I headed towards the beach and ended at the hotel’s gym by the golf course. Ok, I have to rescind yesterday’s statement regarding the gym. It is quite a nice facility and the extra bonus of the machines is that each one is accompanied by its own personal media or television set. I ended up cutting the timing too close, as usual, but we made it out to Adventure xRafting for our dolphin adventure snorkel trip right on time around 7:45. We were greeted by two really sweet, almost too sweet, young women, and were supplied with Kona coffee and fresh pumpkin bread. Not such a bad way to start the day. The ride was absolutely amazing. After boating along the coast for a good 20 minutes, we stopped in two different locations to snorkel. 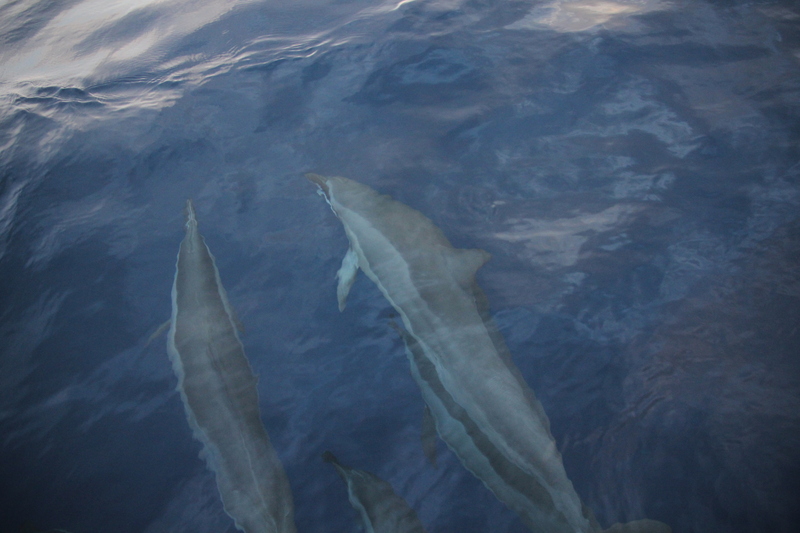 Throughout the entire trip, we were able to spot the well-known spinner dolphins. This particular breed makes it home around the Hawaiian Islands and can be continuously spotted throughout the day and night. 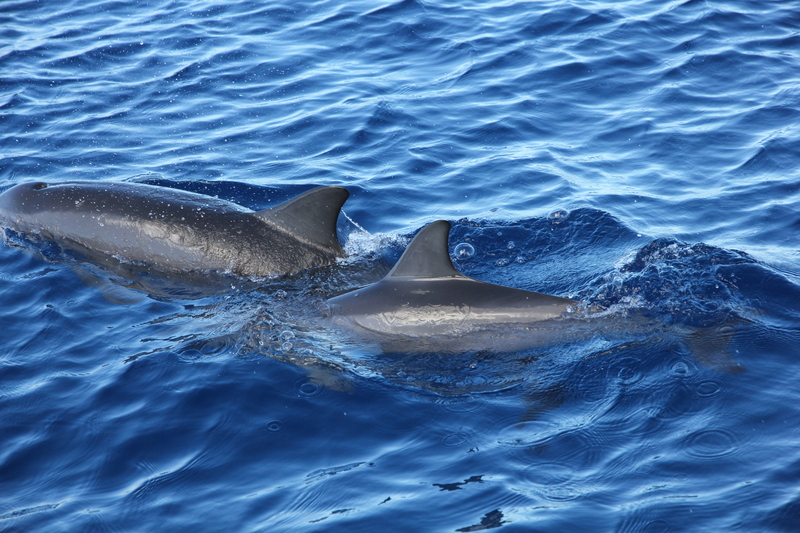 During the day, many of the dolphins “sleep” by shutting off half of their brain and simply diving in and out of the water. They are mammals and need to periodically breathe through the little spout on top of their body. Our selection of fish to spot during our underwater adventures was just as spectacular. I’m almost positive I spotted the national fish (Humuhumunukunukuapua) and we even were lucky enough to catch a glimpse at a sea turtle! 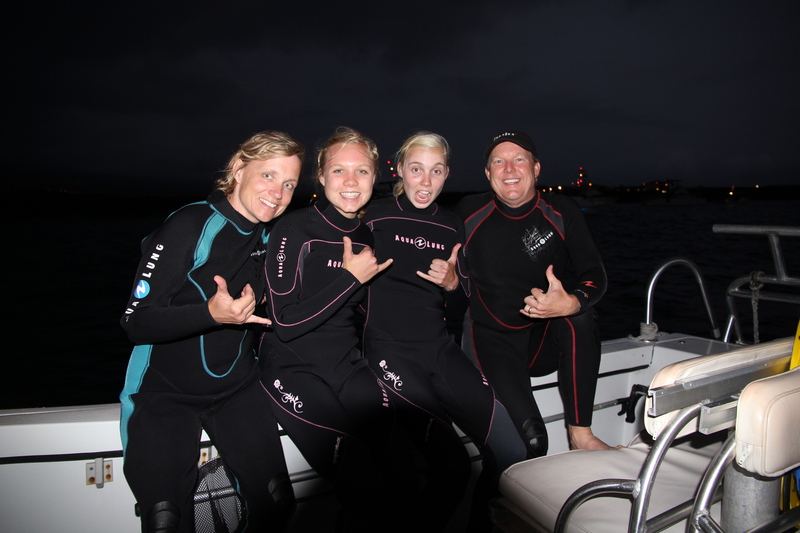 The crew was great, very accommodating, excellent boat, and even a few snacks thrown in between our dives. 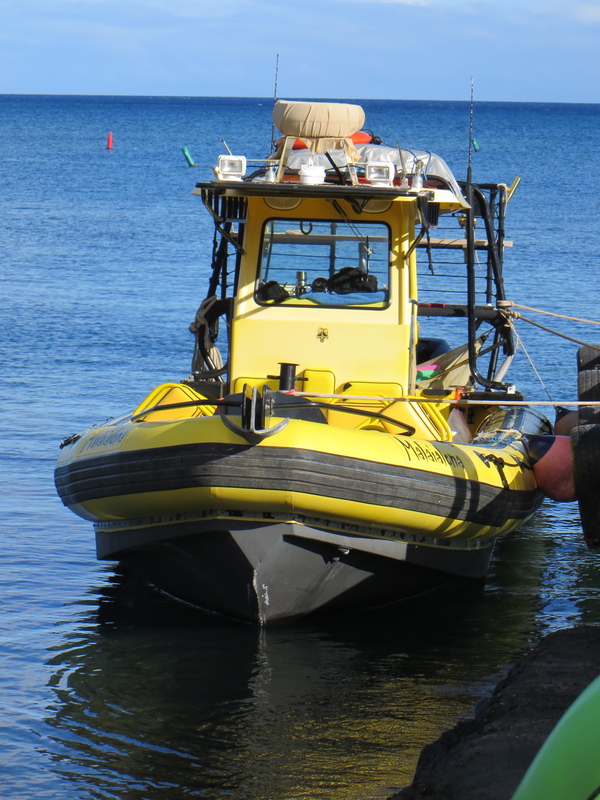 I would highly recommend this tour if you are thinking of taking a snorkel trip or dolphin watching excursion. We ended up picking up lunch from the grocery store for later, and spent some quality time relaxing by the beach. I may have forgotten to put adequate sunscreen on some areas, so I might come out of the week looking like a sunburned Dalmatian. It was odd, because even though the sun was out most of the day, it was a tad bit cooler at times, and we even were visited by a few little rain patches. Once we had absorbed enough Vitamin D, my dad, Meghan, and I tried our luck at hitting golf balls. It was semi-successful as Meghan and I were using my dad’s clubs. That’s what I’d like to blame some of the terrible shots on 😉 By the end of it, I think I perfected my 7-iron shot, so that’s all that matters. I could have sworn I have heard someone say that all a golfer needs is a wood, a 7-iron, and a putter. Hey, I’m one club closer to success! For the next and last activity of the day, we had to be on the road by 5:15. Rolling out around 5:20, we made it to the boat marina around 6 for our manta ray watching trip with Coral Reef Adventures. We lucked out and had the boat and two crew members to ourselves. We set off on a 20-minute ride to reach the actual destination where the manta rays would be waiting. 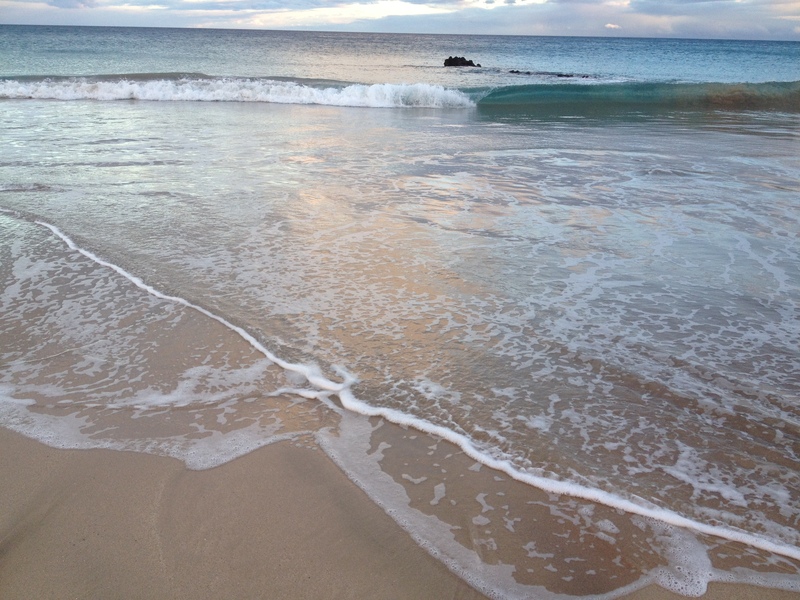 Did you know that Hawaii is the only area that protects the manta rays? They are sought after in many other areas for their mouths, or the teeth like grates, which is often used for Chinese medicinal purposes. 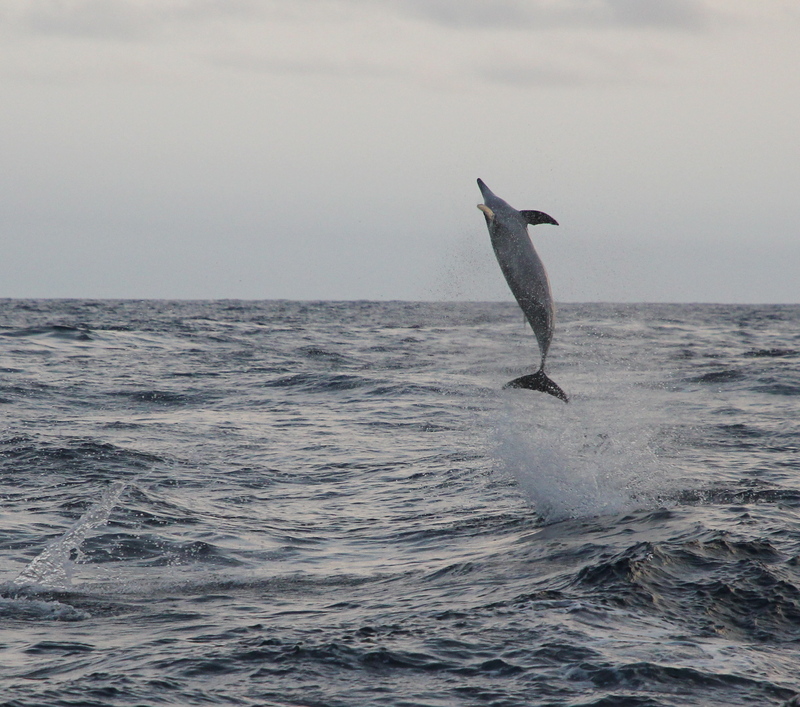 As I mentioned earlier, it is possible to spot the spinner dolphins during the day and night. Well, on our trip out, we were able to catch a double show. They sure did perform for us. The babies, or “keike,” were the most active, jumping, spinning, and splashing about. When we reached our destination, there were about 8 other boats waiting to catch a glimpse of the mysterious manta rays. 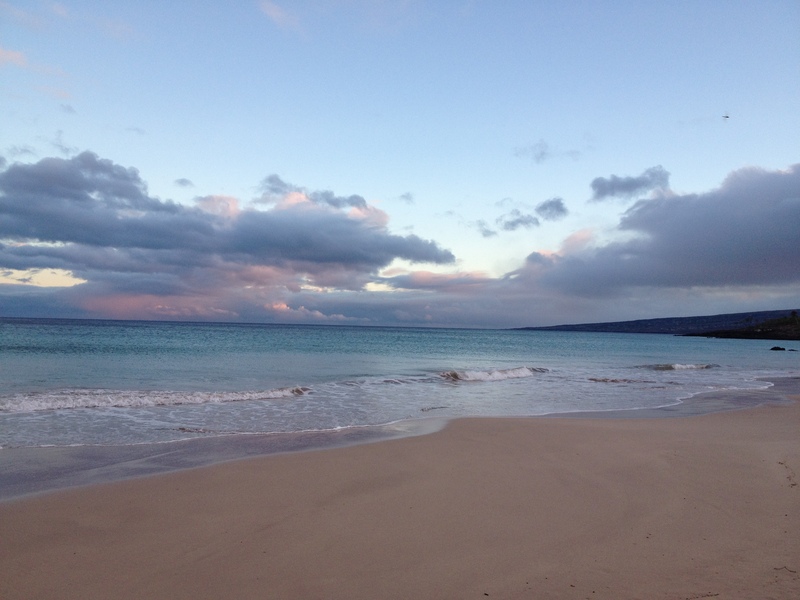 Once the sun set, we threw on a wetsuit, pair of goggles, and jumped into the water. The water wasn’t too cold at first, but it sure helped when we were simply floating about for 45 minutes. There were lights placed at the bottom of the ocean earlier that day and when we jumped out, we used a hula hoop with different lights attached to it. So what is the purpose of the lights? Well, manta rays feed off of plankton and plankton are attracted to light. So by shining the light into the depths of the ocean, the plankton would swim towards it and as a result, so would the manta rays. Because this has been occurring for the past 40 year, manta rays seem to know that if they drift towards this bay in particular and towards the lights, there will be food. Thus, we got quite a good show. These creatures also don’t have a sense of what “personal space” is, so they tend to swim right up until they are 2 inches from your nose and then flip backwards while consuming as much plankton as possible. My dad even got smacked lightly on the head by one of the manta rays named Leftie. Leftie as we were told has about a 14 foot fin-span and is the one least worried about your personal space. When we exited the water, we were greeted with homemade chocolate-mac nut brownies (mmmmm, delish), but that was the extent of our dinner. Most shops are closed by 9, so driving back around 9:30 or 9:45 left us a little out of luck. We settled for some leftover cheese and crackers and called it a night. Fun Fact: The mouth of the Manta Ray is located on the top of the head instead of on the bottom and they can be up to 25 feet in length and weight as much as 5,000 pounds! 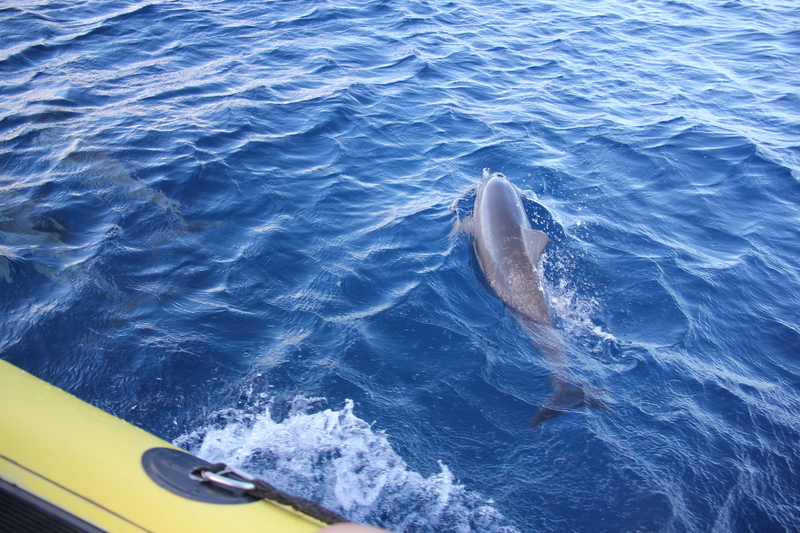 This entry was posted in Vacations and tagged Adventure xRafting, dolphins, manta rays by Kaitlin. Bookmark the permalink.